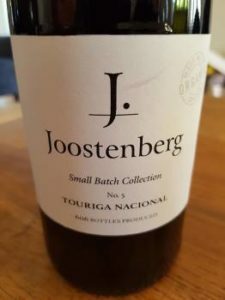 For a while now, Tyrell Myburgh of Joostenberg has been making experimental wines under the Small Batch Collection label which manage to combine charm and quirkiness in equal measure and the 2015s have recently been released, all selling for around R180 a bottle. Fermented on the skins for seven days, matured for eight months in old oak. Appealing aromatics – a floral top note before apple, white peach and orange while the palate is rich and flavourful despite an alcohol of just 12%. A wine of texture, more phenolic than oily, the finish nicely pithy. Total production: 522 bottles. Picked early, three days on the skins before being pressed and put into barrel, maturation lasting 10 months in old oak. Red fruit, some earthiness and a hint of dried herbs. Light bodied, fresh and savoury – not super-detailed but very approachable. Total production: 462 bottles. From a block of 700 vines planted in 1999. Matured for 18 months in old oak. Compelling aromatics of red and black fruit, orange peel, olive, spice and fynbos. Light bodied yet intensely flavoured, fresh and savoury. A wine with tons of personality. Total production: 606 bottles.